After scouring the internet I came across a post someone had made suggesting that github have a function to generate UML diagrams for each project. I also thought that was a great idea, but probably a bit too tough for one guy to tackle on a short time-frame. It did lead me down an interesting train of thought though. What if I could visualize how a rails project’s models interacted? What if I could do this with simply the repository’s URL? 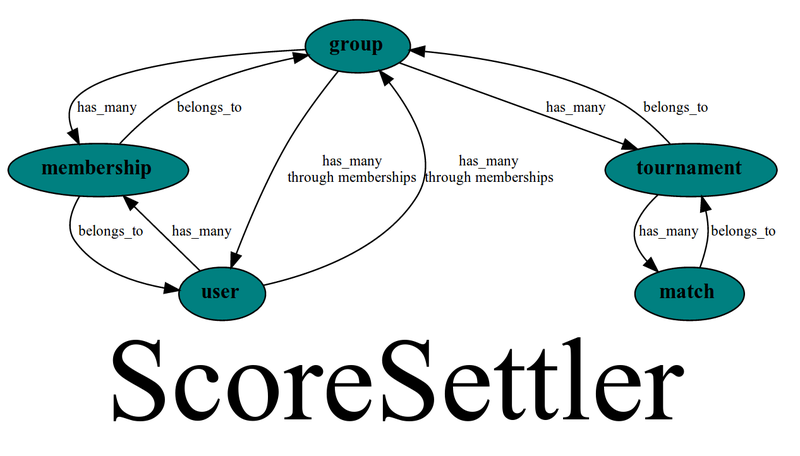 The premise is this: given a rails project github URL, scrape the website to gather the necessary data to generate diagrams representing the relationships between models (and their table schemas!). That graph is what it produced when I gave it the URL to my previous project’s github. It’s small and pretty! All the relationships are accurate! Hurray! Better yet this image is an SVG, which allowed me to add more information upon hovering over a node. That information is the database table’s schema which I also scrapped down using wombat. These are just screenshots so it won’t work here! A gem that surely does a better job at this is rails-erd, but mine lets you do it with simply a github URL rather than installing a gem. This lets you easily see what other people’s projects look like, which has been pretty interesting. 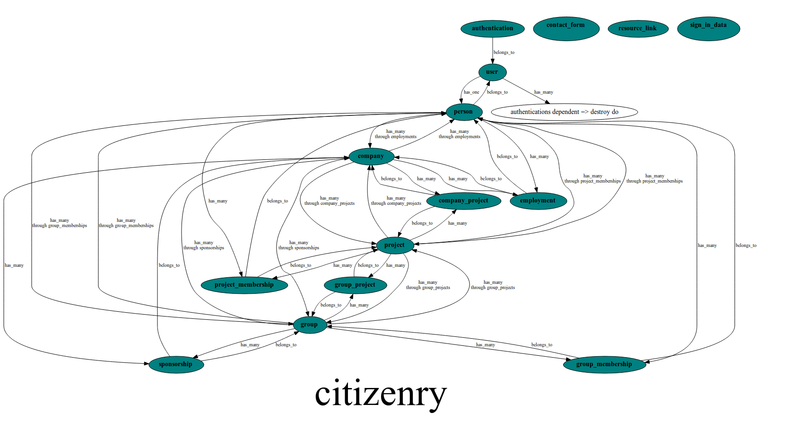 Here’s what it outputs when I give it Citizenry, a large open source project. Now that is looking a bit complicated. I need to make more tables… my projects are not crazy enough! That’s a level of complexity hopefully someday I’ll get into. As you can see there are some relationships I haven’t quite figured out the best way to represent yet. In this picture you can see the uncolored circle as one of these. It makes sense I guess but this might not be its final form.